All of our garden bridges can be built to any size you would like. 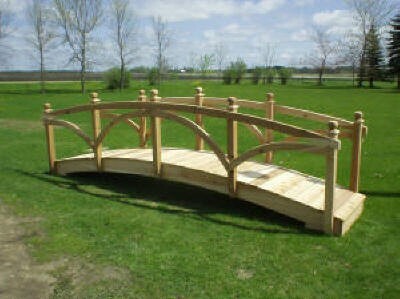 Or we can built the garden bridges to your specifications. 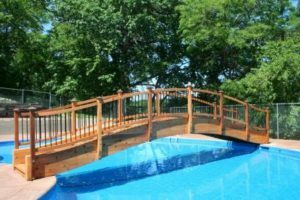 You can customize any of our wooden garden bridges to meet your needs by changing beam curves or adding more/different style of rails. 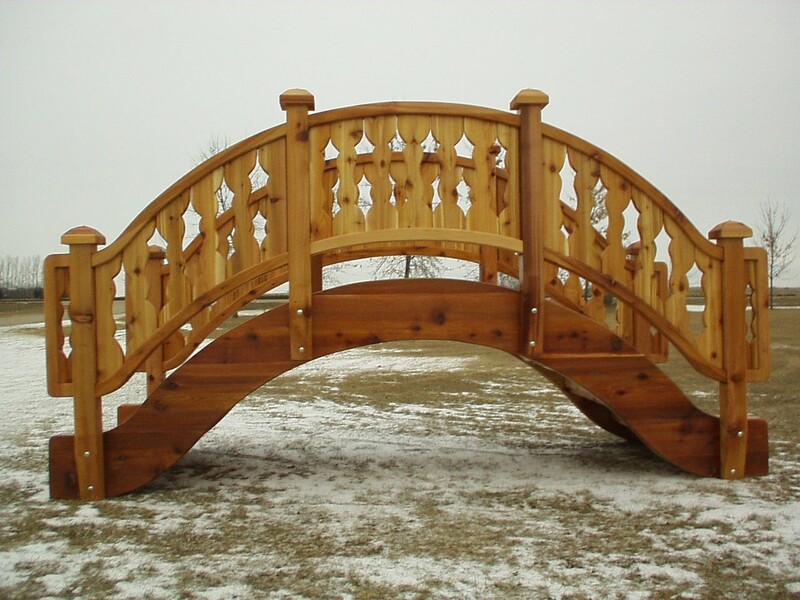 Our wooden garden bridges can be made to any length or width. 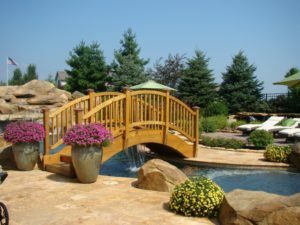 We have garden bridges, pond bridges, Japanese style bridges, suspension bridges, rope bridges, pedestrian bridges, trail bridges. These bridges are handcrafted using western red cedar or treated pine. 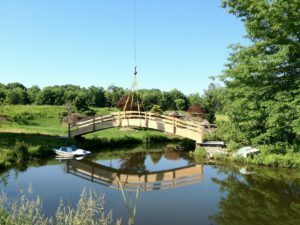 SJ Style Bridge. 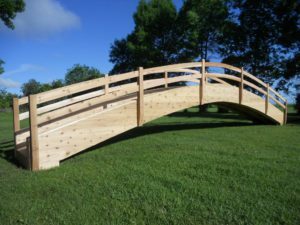 34ft long by 5ft wide. This bridge, like all the others, can be built to any size you would like. The arch can be more or less. This bridge has a 3ft. 6 in. arch. SJ Style Bridge. 30ft long by 5ft wide. 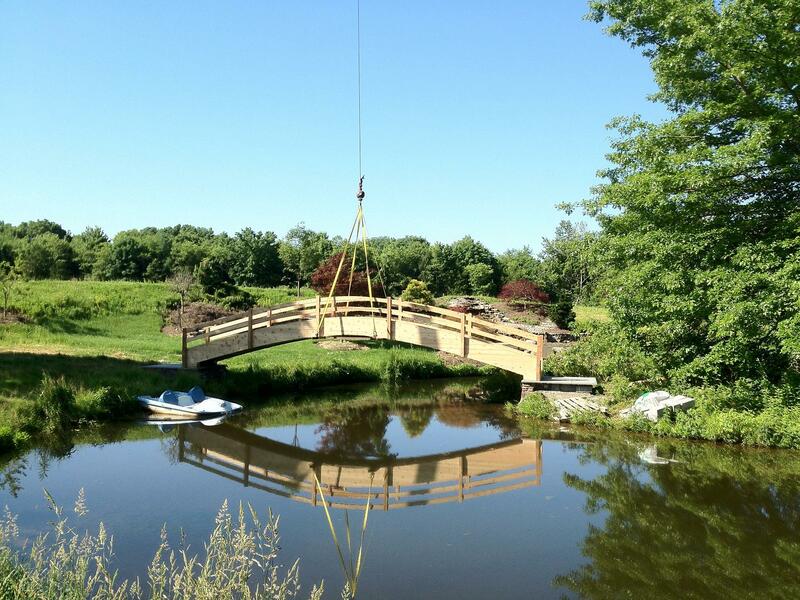 This bridge was built for the town of Rocky Hill, Connecticut. 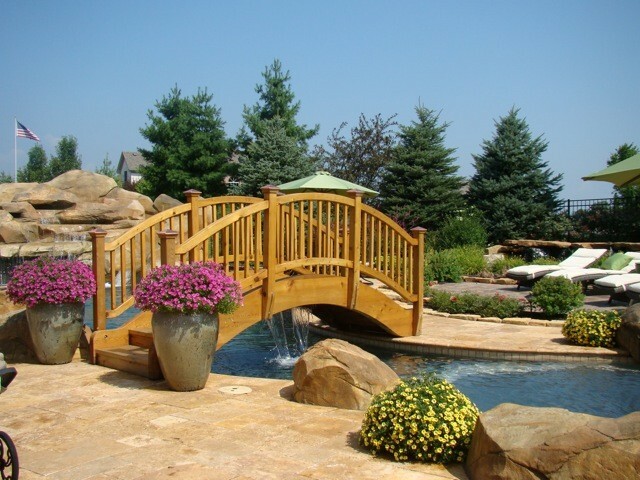 Asian Style Bridge. 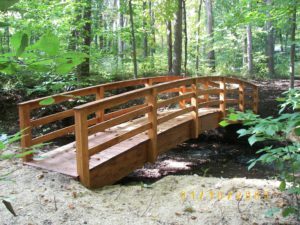 40ft long by 5ft wide. 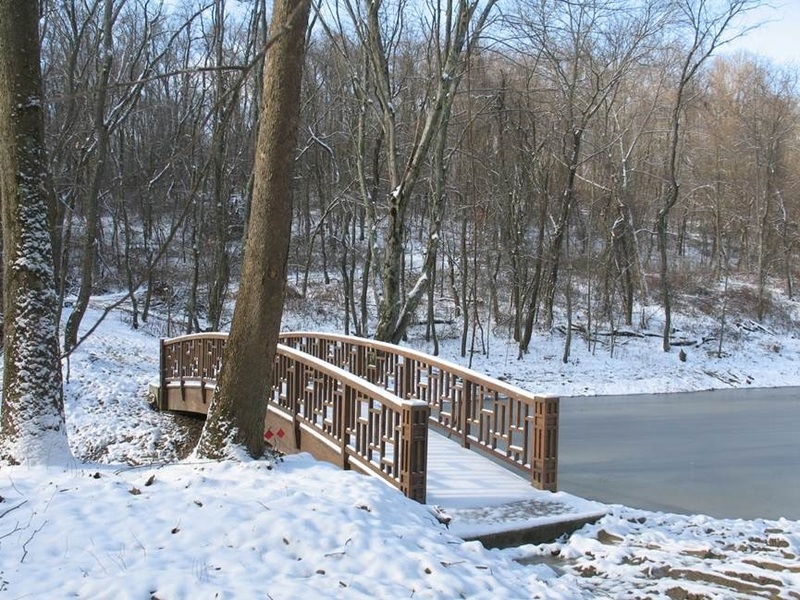 This bridge is located at the Pittsburgh Botanic Garden, Pennsylvania. 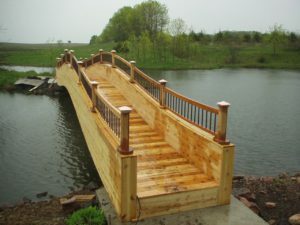 SJ Style Bridge. 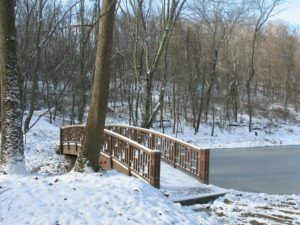 36ft long. Steps in-between the beams.